CLUSTER (AUS) (Bay 2010-Stud 2015). 3 wins at 1200m, 1400m, A$292,200, ATC Theo Marks S., Gr.2, Forum Group H., 2d ATC San Domenico S., Gr.3, Hyland Race Colours H., 3d MVRC Bill Stutt S., Gr.2. Half-brother to SP Inkling (3d ATC Brian Crowley H., L). 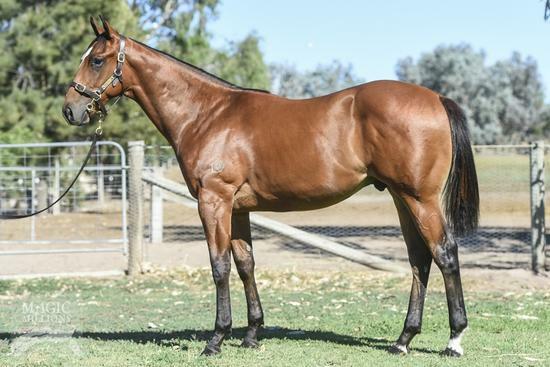 Out of SW Tarcoola Diamond (VRC Desirable H., L), a half-sister to SW Chickaloo. Related to SW I Like Diamonds (AJC Champagne S., Gr.1), etc. His oldest progeny are yearlings. JUSTIFY THAT (g. by King of Prussia). 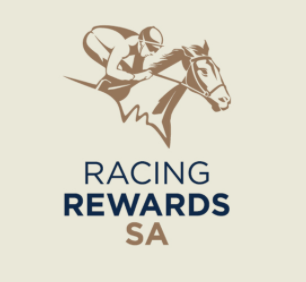 13 wins to 1400m, A$522,245, to 2016-17, SAJC Christmas H., L, Penny Edition S., L, Star of Christmas Final H., Lexus H., Schweppes H., Dawn of the Planet of the Apes H., Melbourne Cup Live at Morphettville H., Medallion Homes H., Penna Michael Chartered Accountants H., Schweppes Tonic H., Holdfast Insurance H., 2d Balaklava Cup, L, SAJC Hamilton Holden H., Glenelg North TAB 10th Anniversary H., Adelaide Galvanising H., Schweppes H., Lollipop Markets H., Centrebet H., St Andrews Hospital H., Clean SA H., Capital Transport H., 3d Oakbank S., L, SAJC Durbridge S., L, Alice Springs TC Pioneer Sprint H., Oakbank RC Yalumba H., SAJC Desiree Gill Memorial H., Pure Envy Jewellery H., 4th SAJC Spring S., Gr.3. St Cajetan (g. by Red Element). 4 wins at 1400m, 1600m to 2016-17, 2d BRC Treasury Casino & Hotel H.
Doctor Ed (g. by Niello). Winner at 1200m in Aust. Elle of a Westerly. 2 wins at 1100m, 1200m, 2d TRC Blenheim Inn H., Early Bird Tickets Now Available H., Fuji Xerox Statewide H., Life Members H., TTC OAMPS & Transport Industry H., 3d TTC Jackson Motor Company H., St Lukes Health H., Bitter Spring H.
Duty With Honour. 2 wins. See above. SALEOUS (Salieri). Joint top filly on The 1996-97 Australasian 4YO+ Classification. 8 wins-1 at 2-from 1100m to 2500m, A$1,095,750, VRC Oaks, Gr.1, STC Ansett Australia S., Gr.1, SAJC Sedgwick Classic S., Gr.2, VRC Craiglee S., Gr.2, Wakeful S., Gr.2, Vanity S., L, VATC Shankhill Lass H., 2d Australian Guineas, Gr.1, VATC One Thousand Guineas, Gr.1, MVRC Alister Clark S., Gr.2, VRC Blamey S., Gr.2, VATC Quezette S., L, VRC Chester Manifold S., L, VATC City of Glen Eira H., 3d VRC LKS Mackinnon S., Gr.1, 4th Queensland Oaks, Gr.1, VATC Underwood S., Gr.1, VRC Edward Manifold S., Gr.2, VATC Tranquil Star S., L.
World Beater. 3 wins to 1400m, TRC Classic Blonde H., TTC OAMPS & Tourism Tasmania H., 2d TRC Hi-Lite Plaster H., Marsh Insurance Brokers H., TTC Country Club Tasmania Newmarket H., Wilkin Design & Drafting H., 3d TRC Federal Group H., Performance Subaru H., TTC Toll Tasmania H., Caltas H., Southern Cross H., Shelterbox Australia H.
Pride (Wilkes). 4 wins-1 at 2-at 1000m, 1200m, VATC Glen Eira H., 3d VRC Edward Manifold S., Gr.2, VATC Debutante S., L. Producer. MIGHTY SUPREMO (Mark Anthony). 10 wins-1 at 2-to 1400m, A$115,705, VRC Moomba P., Gr.3, QTC Denise's Joy Welter H., 2d SAJC Goodwood H., Gr.1, VATC Victoria H., Gr.3. AVATAR (Showdown). 9 wins from 1100m to 1600m, A$207,700, MVRC Greenvale H., 2d VATC Toorak H., Gr.1. Sire. HOUR OF PERIL (Fusaichi Pegasus). 6 wins from 1200m to 1600m, A$265,010, BRC Montrose Access P., 2d BRC Rough Habit P., Gr.3. CHONG TONG (Encosta de Lago). 6 wins-2 at 2-to 1400m, A$508,830, MRC Sandown S., Gr.3, VRC L'Oreal Paris P., Gr.3, BTC Merry Christmas 2YO H., 3d VRC Lightning S., Gr.1.